Product #1798 | SKU 356 | 0.0 (no ratings yet) Thanks for your rating! 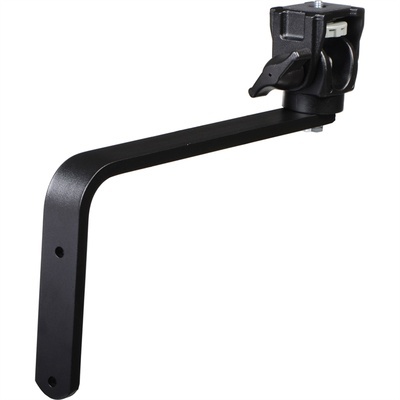 The Manfrotto 356 Wall Mount Camera Support is an L-shaped bracket that extends 23 cm out from the wall. It comes complete with the 234 (3232) Swivel Tilt Head, and can be used to hold surveillance cameras, etc.